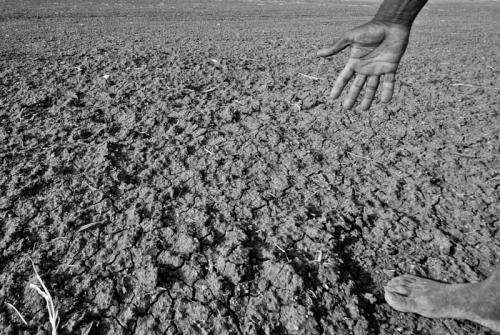 Yanhai Yin, a professor of genetics, development and cell biology and a Plant Sciences Institute Faculty Scholar, said the biological processes that oversee plant growth and drought response often clash with one another. Yin said scientists have long observed the tendency of plants to slow their growth in times of drought to conserve energy and fight stress, but the genetic mechanisms that guide those interactions were poorly understood. Yin is the corresponding author of a study published Friday in the peer-reviewed academic journal Nature Communications, which shows those interactions depend on a pair of genes known as BES1 and RD26. BES1 controls plant growth and is activated by the presence of a hormone called brassinosteroid, according to the paper. BES1 also influences thousands of the other genes, making it "an important switch" in the overall functioning of a plant, Yin said. The gene known as RD26 is activated, on the other hand, when plants are challenged with drought stress, Yin said. This causes growth to slow and the plant to conserve energy. The two pathways, BES1 and RD26, often inhibit one another, according to the study. "The two responses seem to clash with one another, and under normal growing conditions, you don't want the RD26 drought response to be active," he said. "It'll take further study to fully untangle how these two pathways interact." The research team used a model plant called Arabidopsis, a small flowering plant, for the study. The researchers conducted genetic testing of the plant, as well as genomic research and computational modeling to arrive at their conclusions. The genomic studies and computational modeling were carried out by Patrick Schnable, a Distinguished Professor of Agronomy and director of the Plant Sciences Institute at Iowa State; Zhaohu Li of China Agricultural University and Maneesha Aluru and Srinivas Aluru at Georgia Tech University. More than 10 former and current ISU students performed the research over seven years. "It's definitely a team effort," Yin said. Yin said the Arabidopsis results likely apply in similar ways to major cash crops as well, meaning this research could help plant breeders develop varieties that feature improved stress tolerance. For instance, the brassinosteroid functions similarly in corn, he said. "There's strong reason to believe the same mechanisms carry over into other plants, including crops," he said. "And we can use the knowledge to improve crop production in drought conditions."